"Mi Amigo, Jose: I read the news and was shocked & saddened...."
"Rest In Peace with our Lord." "My condolences and respect to the Garduno family. 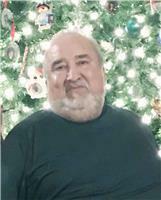 May Joe..."
"Isidro and I loved Joe very much, and is fondly remembered..."
Jose Desiderio Garduño (Joe) was called to eternal rest Monday, April 1, 2019. Our family comes together once again in profound sadness and pain in our hearts to part with one of our beloved brothers. We also come together in joy to celebrate his life as he makes his journey home. Those who remain behind and knew him well will find solace, peace, and comfort by recalling to memory his thoughtfulness, kindness, generosity, and unexpected quick wit. He loved his family and friends unconditionally and with his whole heart. He frequently surprised his loved ones with a "little something just for you." Joe retired from Las Vegas (N.M.) City Schools after more than 30 years of service. He graduated from West Las Vegas High School in 1972. He participated and excelled in track, basketball, baseball, and football, both in junior high and high school. At one time, during his football years at WLV, he held title as one of the state's leading prep scorers. He remained an avid fan of all WLV sports and was most proud of all his nieces' and nephews' sports activities where they were always cheered on by their "Uncle Joe." He became Uncle Joe to many young sports enthusiasts as he was a constant presence at their Little League games, middle and high school games in any sport they played and traveled to every game with them. He will now be there for them in spirit. Joe was born April 16, 1953, to Geronimo Garduño and Antonia Garcia Garduño. Paternal grandparents are Pedro Garduño and Adela Lucero; maternal grandparents are Higinio Garcia and Valeria Montano, all of Chaperito, N.M. He is predeceased by his parents and grandparents; brothers Pete, Juan Bautista, Jerry, Gilbert, and Leo Garduño; sisters Isabel G. Chavez, Edwina Cristela Garduño, and Maria Elena Montoya; sisters-in-law Gertrude Dominguez Garduño and Beatriz Martinez Garduño. He is survived by his only child and beloved son, Christopher Garduño. Joe is also survived by his brothers and sisters and their families: Ray Garduño and wife Andrea, Alice Gallegos (Donald), Viola Garduño, Antonio Garduño, Daniel Garduño (Antonia), Edwina Gallegos, Rose Ann Trujillo and Rose Mary Garduño all of Las Vegas, N.M., Della Gonzales and husband Rosalio of Arlington, Texas; Lorraine Hernandez (Fred) of Pueblo, Colo,; sisters-in-law and brothers-in-law: Manuel Chavez, Carlos Montoya and Trinidad Gallegos of Las Vegas, Elma Garduño of Thornton, Colo., Emily Pacheco (Henry) of El Dorado and Patricia Garduño of Los Lunas, N.M.
Also surviving are his nieces, nephews, great nieces and great nephews, dear cousins and friends. Services will take place at Our Lady of Sorrows Church in Las Vegas. The Holy Rosary will be recited Tuesday, April 9, 2019, 7 p.m. The Mass of Christian Burial will be celebrated on Wednesday, April 10, 2019 at 9 a.m., with Father Rob Yaksich as celebrant. Following the mass, interment will follow at San Jose Cemetery with the following nephews serving as casket bearers: Peter Garduño, Joseph Baca, Orlando Chavez, Trini Gallegos, Danny Garduño, David Garduño, Dennis Garduño, and Martin Gonzales. Honorary pallbearers will be his remaining brothers, Ray, Danny, and Antonio; great nephew David Ulibarri IV, as well as all his nieces and nephews. Contributions to Our Lady of Sorrows Parish are appreciated. The family will gather at the Ulibarri home, 1037 Eighth St., Las Vegas. Arrangements are under the direction of Rogers Mortuary, Las Vegas, N.M.